Last week, Gionee sent out invites for an event to be hosted on April 24 to announce a new M6 phone. As assured, Gionee has announced the launch of the Gionee M6S Plus smartphone in its homeland China. The smartphone features interesting specs and is priced starting from CNY 3499 (approx. Rs. 32,800). The smartphone is already listed for pre-order and the sale will start on May 2.
alking about the Gionee M6S Plus, the smartphone’s key highlight is its mammoth 6020mAh battery. With such a huge battery capacity, undoubtedly this smartphone will be able to last for over a day even under heavy usage. The Gionee smartphone can be said to excel in multi-tasking as it is packed with 6GB RAM that will definitely render an exceptional performance. The device has been announced in two storage variants – 64GB and 256GB. Also Read: Gionee S10 spotted on TENAA, comes with Android Nougat The Gionee M6S Plus is runs on Amigo 3.5 OS that is based on Android 6.0 Marshmallow. This smartphone bestows a 6-inch FHD 1080p On-Cell AMOLED display. The smartphone is powered by a 1.95GHz Snapdragon 653 processor. There is a fingerprint scanner at its rear positioned below the main camera module. When it comes to the optics, the Gionee smartphone bestows a 12MP main snapper with LED flash and an 8MP front-facing seflie camera. On the connectivity front, the smartphone comes packed with 4G LTE, Bluetooth 4.0, Wi-Fi, USB OTG, GPS, and 3.5mm audio jack. The fingerprint sensor on board the Gionee M6S Plus not only unlocks the device but also measures the heart rate and secured payment options. 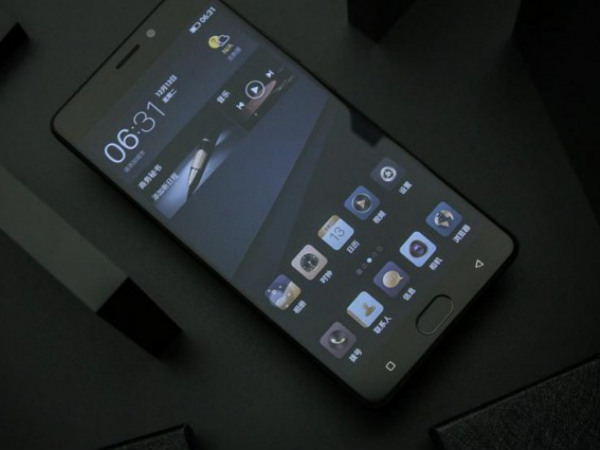 Also Read: Gionee to launch new M6 phone on April 24 Gionee has priced this smartphone at CNY 3499 (approx. Rs. 32,800) for the 64GB variant and CNY 4,299 (approx. Rs. 40,200) for the 256GB variant respectively.